We’re happy to announce that we have added support for private Docker registry providers in ContainerShip Cloud! 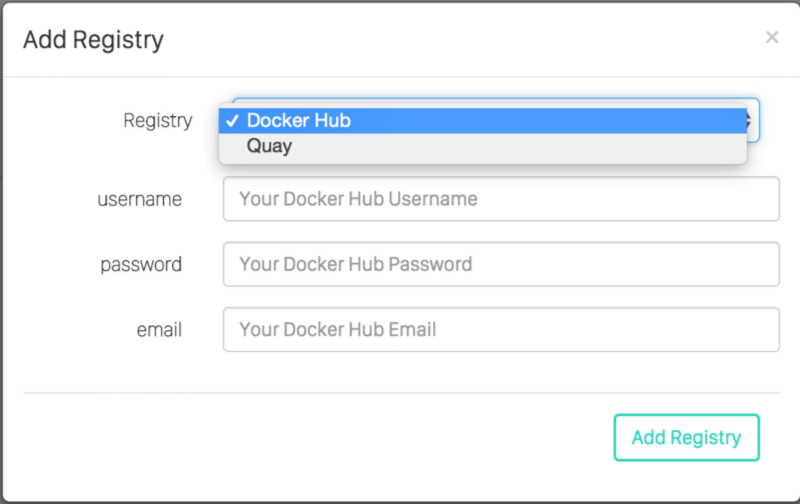 At launch we have support for two registry providers, Docker Hub and Quay.io. Getting your registry provider connected is very simple. We’ll walk through the process and show you how easy it is. The Providers section of the navigation menu contains a new section for Registries. Click on it to go to the Registry configuration view. 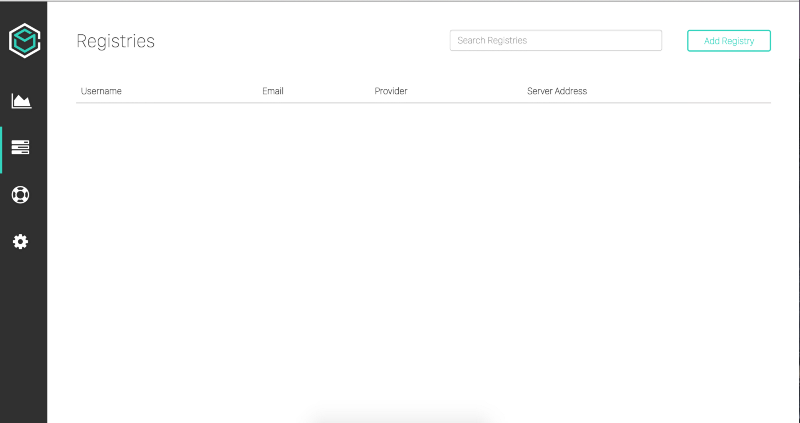 You’ll see an empty list in the Registries overview, click on Add Registry to get started adding one. A modal will pop up asking you to select your provider, and provide authentication details. Fill in your information and click Add Registry. Your registry information will now be visible in the list, and you can begin utilizing it when launching your applications! 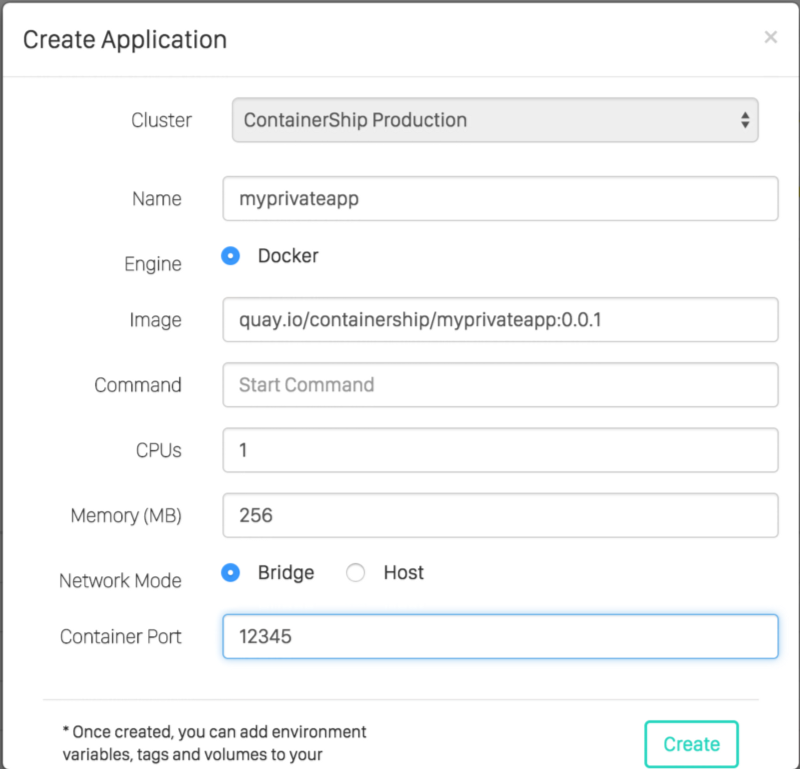 Now that you have connected one or more registries, you can use them when launching your applications in ContainerShip Cloud. You simply need to specify the registry provider in the image field when launching an application. 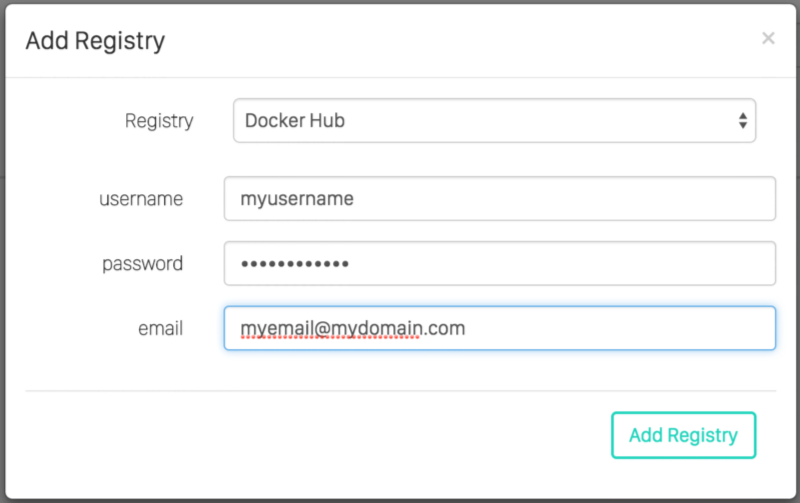 ContainerShip Cloud will use your configured credentials to access your private registry provider and pull down the image. We plan to add support for more registries in the future, such as Google Container Registry. Are there other registries we don’t know about that would be useful? Let us know in the comments. Find our more about ContainerShip and ContainerShip Cloud at https://containership.io and our official documentation site https://docs.containership.io.